KUALA LUMPUR — Halal Industry Development Corp (HDC) has called on producers of halal products to use its expertise via Global Halal Support Centre, which is free. Managing director/chief executive officer, Datuk Seri Jamil Bidin, said the centre, which was set up over four years ago, functioned as a one-stop centre for the producers to know about the standards, certification or capacity building for halal products and services. “Besides the locals, we have welcomed industry players from over 60 countries and over 30 million people have visited our online portal,” he told Bernama recently. Jamil said the support centre recently won the Ministry of International Trade and Industry (Miti) award for the Best Programme for 2014. 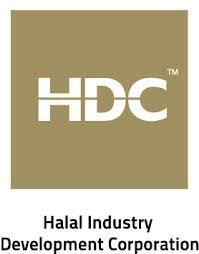 “This is our second award and we are happy to receive it,” he said, adding that HDC would continue to be the world’s reference centre for the halal industry. Miti would hold a competition every year for organisations under it and government agencies. HDC has been chosen as the winner for successfully conducting its programme based on the government’s outcome-based budgeting (OBB), he said. OBB was introduced in the 10th Malaysia Plan (2011 – 2015). It is a management tool designed under the Strategic Reform Initiative, which focuses on detailed planning with the requisite horizontal and vertical linkages. It measures results achieved at almost every stage of the project from input application, activity completion, output delivery and impact achievement.